5 pygmy goats who live at Varndean School in Brighton. 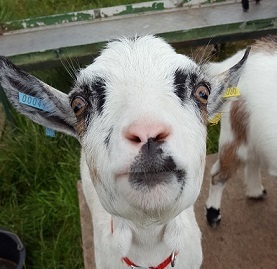 Working as therapy goats and helping with behaviour, mindfulness and wellbeing. From Brighton Station, procede up Ditchling Road. The school is obvious on the left hand side.